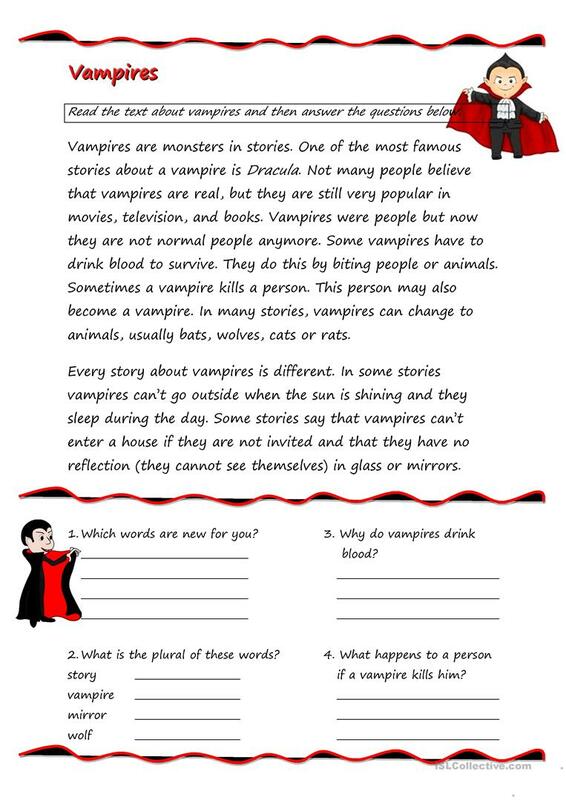 A worksheet about vampires. A short text followed by two comprehensions questions and two word questions. The above downloadable printable is recommended for high school students and elementary school students at Pre-intermediate (A2), Intermediate (B1) and Upper-intermediate (B2) level. It is great for consolidating Plural nouns: regular plurals with S ending in English, and is excellent for strengthening your groups' Reading skills. It is about the theme of Halloween.